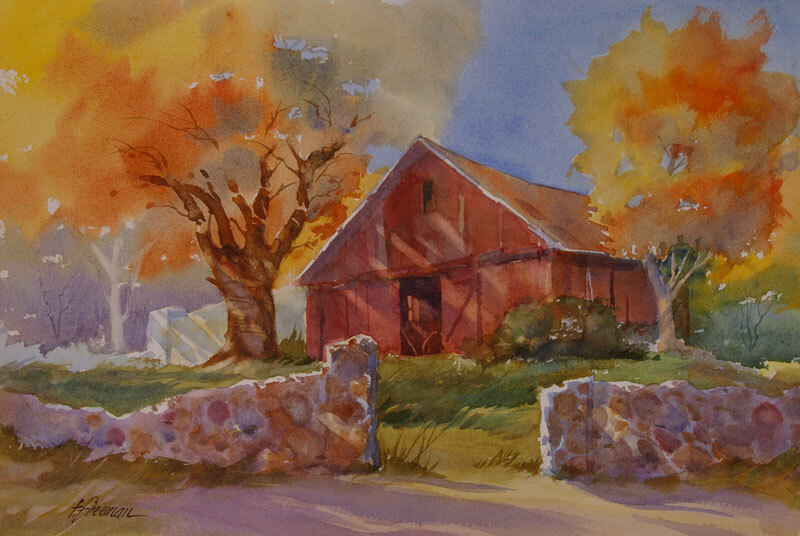 Thomas Freeman Original Watercolor Painting: "Country Cobblestone"
There's beautiful countryside here and it was a perfect fall day. I was struck by the crumbling old walls and thought they made a nice frame for the barn. I placed the lighting from the left, and the resulting shadows help define the barn and wall. The far wall, more indistinct, adds perspective.